Everybody is aware of the pull-back in export harvesting and packing. Therefore I will not add to that discussion. However we need to consider the ramifications of that in respect to the domestic market. Historically, in late October, after a decrease in export packing, we would observe a shortening of supply with associated price rises. However, this is not your normal season in many ways. We commenced in May which is as early as I can remember with maturity passes exceeding expectations. 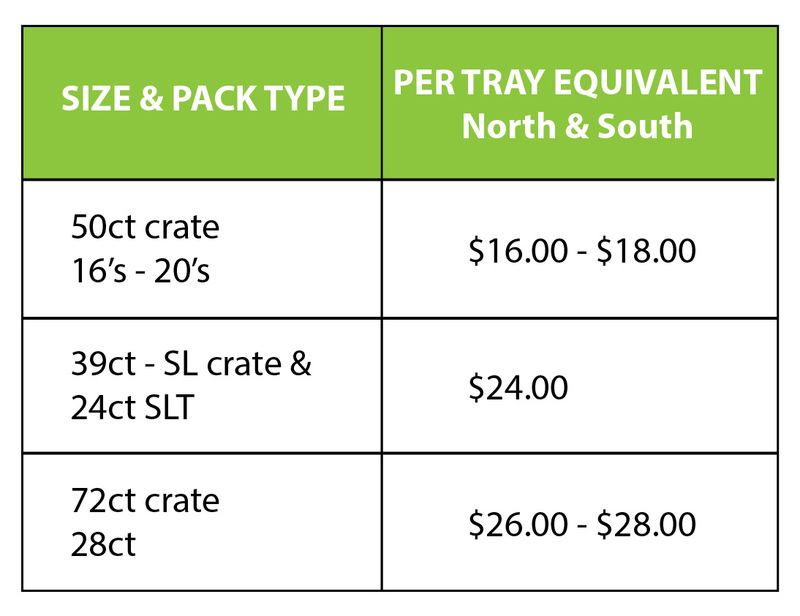 This trend has continued to be the norm and despite the slowdown in export packing, AIC local-market figures have barely changed from the mid 50,000 tray level on a weekly basis. This would indicate that some growers and / or marketers are harvesting at-risk fruit and choosing to market domestically. This is hardly surprising given that local-market values have held extremely well at a significantly higher weekly tray volume than expected. Firstly, volume is always a fine balancing act and we are now seeing some values pulling back slightly as each week provides less and less wiggle room when managing stock. Additionally, promotional pricing whilst vital, has in my opinion, allowed the wholesale ‘on-promo’ levels to drop too far within certain regions and that will have a flow-on effect to all retail programmes. Another key consideration is likely to be the period when export volumes increase as the Australian market strengthens. 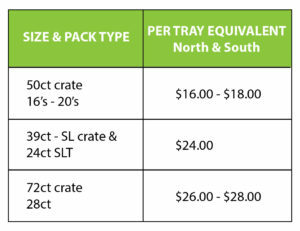 Already, low export pack-outs have delivered extra tray volumes into the local-market. A catch-up, demand-driven export surge will create a significant lift of incoming supply. This will need to be monitored in advance to ensure values and promos are managed as part of the process to maintain value.